No maroon in my stash and very little yellow and orange. These are pretty much outside my color range. Although I actually like the block, I’m undecided as to whether or not I actually like making the block. 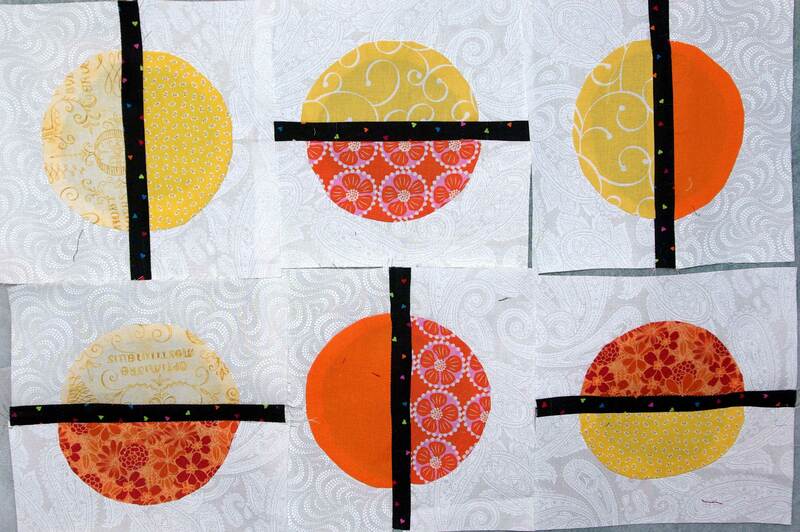 Made some of my 13 QAL blocks first to try it out. 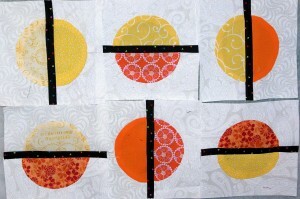 Might try other methods with the other QAL blocks I have left. The only other circle blocks I’ve made in my life (Dresden block centers and a pillow center) were faced. I hand appliqued. I don’t see well enough to be able to stitch nicely around by machine. Now that I see the picture I think that one in the lower right looks a little wonky. Hope it is just the pic. If not I will repair if possible or send notice to only enter 5 in the drawing.